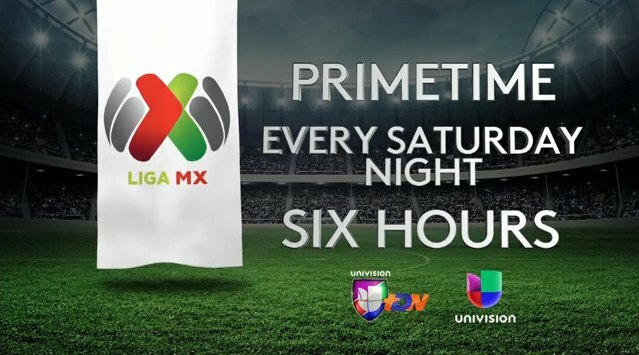 Beginning this July, Univision will feature 6 hours of live Liga MX games every Saturday night in primetime. The three back-to-back-to-back matches will be shown live on television. The first game every Saturday night will be on Univision Deportes, while the other two will be shown on Univision network. 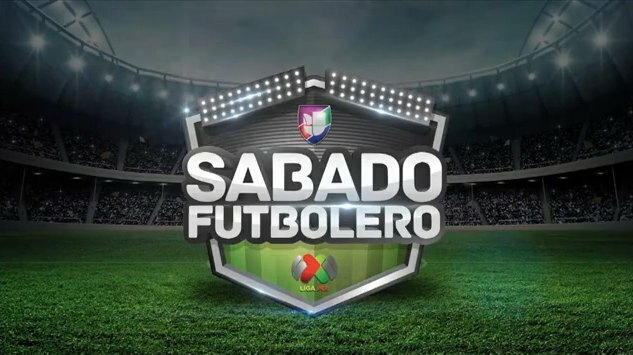 The trio of Saturday night games, coined Sabado Futbolero, was developed in collaboration between Liga MX’s leadership and Univision executives. The enhanced coverage will include the most popular teams and will surely give a boost to Univision’s impressive TV ratings. 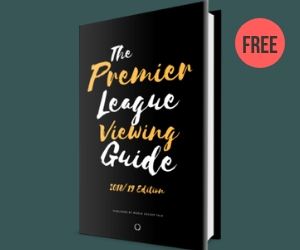 Liga MX is already the most popular soccer league in America, but the weekly showcasing of the three games every Saturday night during the season will certainly establish the Mexican league as a must-see block of soccer watching for fans of the Beautiful Game. The announcement by Univision was made this week at its Upfront presentation in New York City in front of many decision makers in the advertising industry. The news comes on the heels of Univision’s announcement that the recent Chivas-Club America game was the most-viewed club soccer match in US cable history. Univision also announced this week that Campeón de Campeones (Champion of Champions), the emblematic Mexican championship match between the winners of the two most recent Liga MX seasons, will be played in California in the second annual marquee event in the United States. SúperCopa, which will decide the ultimate Copa MX champion between the last two Mexican Cup winners, will also be played as part of the event. The doubleheader will be played at the StubHub Center, home of the Major League Soccer club LA Galaxy, in Carson, California, on Monday, July 10 at 6pm ET and 9pm ET respectively. WOW Univision just blatantly copied Azteca with their “Viernes Futbolero” and “Viernes Botanero”. I find it amazing how a network claiming to be the best has to copy ideas from other networks they claim are inferior to them. Univision Deportes constantly copies ESPN Deportes and Fox Deportes as well. I know they get the best ratings but that doesn’t mean they’re the best network. 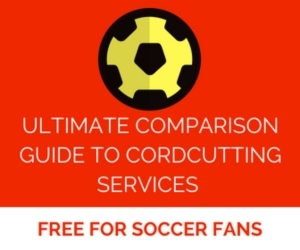 If it wasn’t for Liga MX and Mexico national team matches they’re ratings would be awful. ESPN Deportes depends a lot on the NFL, NBA, and MLB, Fox Deportes depends on the NFL, MLB, and the UFC. Both ESPN and FOX Deportes don’t need Liga MX and the Mexico national team to survive, they’ve done well for themselves without them. If lets say Bein Sports (who have a lot of money) one day decides to buy the rights to every Liga MX team, Univision Deportes is screwed. Univision Deportes Liga MX coverage is terrible, despite having FOUR networks they still pass the Friday Liga MX match in a small box during the MLS Friday game because they simulcast the game on Unimas and UDN. They also pass all the Porto games on tape delay on Sundays just because they want to simulcast the Liga MX game and Republica Deportiva (A show they totally ruined) on Univision and UDN. There’s been many times they’ve passed matches on Tape Delay because they wanted to simulcast something on UDN. Like earlier this year they passed a Tigres (the reigning Liga MX champ at the time) game at 1am ET because they were simulcasting a USMNT match on UDN and Unimas. Why do they have Galavision for? Why do they have to simulcast the match in the first place? Why is this network so obsessed with simulcasting games and shows?